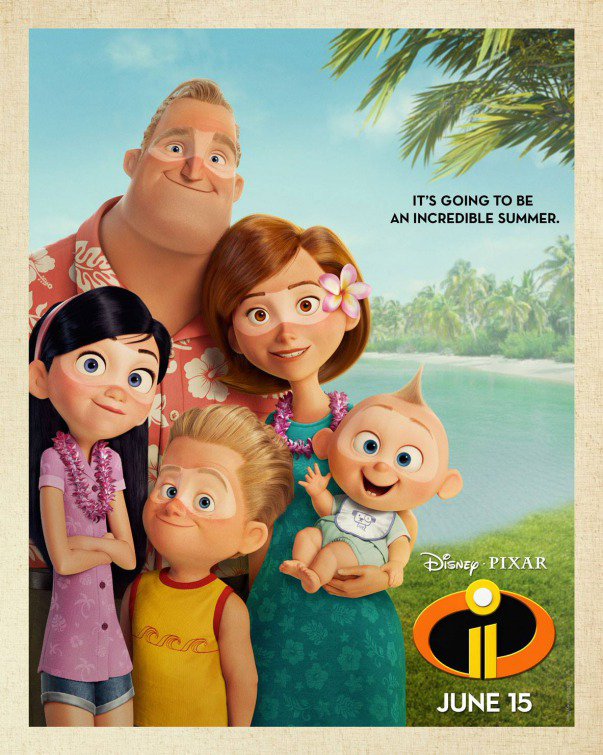 Incredibles 2 , starring Craig T. Nelson and Holly Hunter, easily defeated its competitors at the weekend box office. It brought in a jaw-dropping $180 million, the biggest opening ever for an animated movie — a record previously held by Finding Dory with $135 million two years ago. Incredibles 2 has an impressive rating of 4 out of 5 stars from users on this site. For its second weekend in theaters, Ocean’s 8 with its all-star female cast dropped one spot to second place, bringing in an additional $19.6 million for a domestic total of $79.2 million. Our users gave it a rating of 2.5 out of 5 stars. The new comedy Tag, starring Jon Hamm, debuted in third place. In its opening weekend, the movie brought in $14.6 million. Solo: A Star Wars Story dropped to fourth position in its fourth week in theaters. It brought in another $9.1 million for a total domestic total of $192.8 million. Despite its disappointing performance (for a Star Wars film) at the box office, our users give this film an excellent review of 4.3 out of 5 stars.